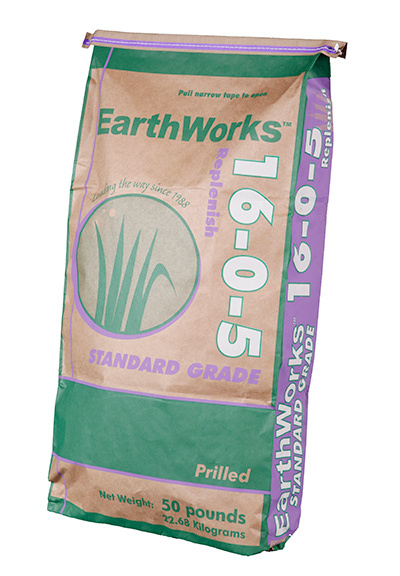 EarthWorks Replenish 16-0-5 is a slow release nitrogen organic based product designed for maximum performance while still providing the proven soil building value that the EarthWorks Replenish products are known for. This product is a 50% water insoluble nitrogen (WIN) product. 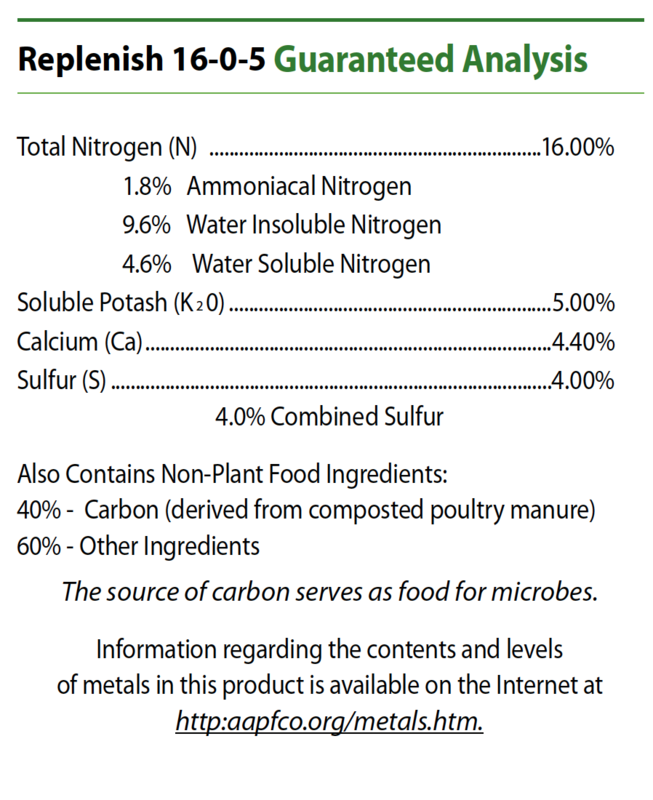 Formulated with high quality methylene urea for long lasting color and growth, ammonium sulfate for a quick response and the EarthWorks OMRI listed organic Replenish poultry compost to build soils and balance C:N levels that allow the nitrogen products to work even better. The combination of nitrogen sources assures that the Replenish 16-0-5 will provide a long lasting color and growth pattern designed for golf course fairways and roughs, sports fields and landscapes of all kinds. The digested compost used in the entire EarthWorks Replenish product line has been shown to be a superior soil building material providing food sources for microbial activity. As microbial activity in the soil increases so does nutrient mobility including the steady release of nitrogen and other macro and micro nutrients. Replenish 16-0-5 is rich in soluble calcium which can help build stronger turf plants and buffer the soils from excess sodium and bicarbonates buildup which can restrict quality turf growth. 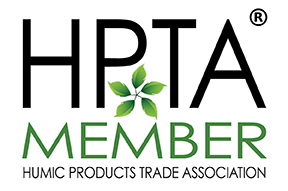 EarthWorks is dedicated to formulating the most agronomically complex products available and after 15 years of production the Replenish line of organic based fertilizers have more than proven this. A healthy soil promotes healthy plants and we start the construction of all Replenish products with rich digested poultry compost. Using egg layer manure assures no bedding in the product and a rich calcium percentage in the end product. Mineral rich foods are fed to the birds and that mineral becomes a core component to the Replenish raw material. 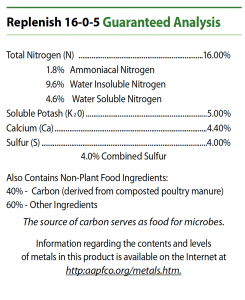 For 1/2 pound of nitrogen on turf grass apply 3 pounds of product per 1000 sq.ft.